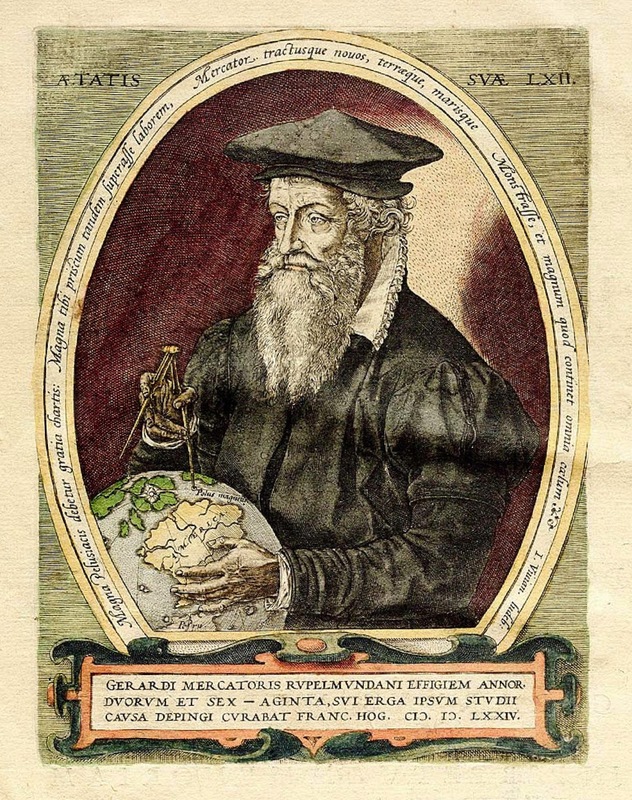 Gerardus Mercator was a cartographer, philosopher and mathematician. 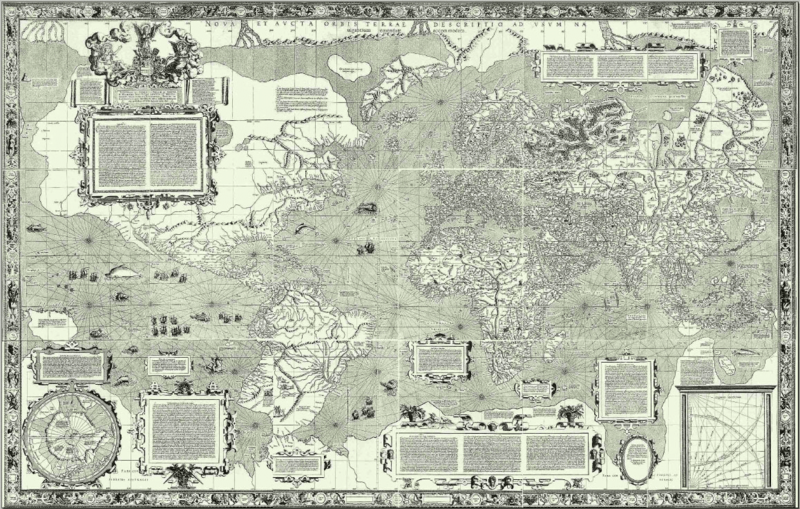 He is best known for his work in cartography, in particular the world map of 1569 based on a new projection which represented sailing courses of constant bearing as straight lines. He was the first to use the term "Atlas" for a collection of maps. Mercator was born in the town of Rupelmonde where he was named Gerard de Kremer or de Cremer. He was raised in Gangelt in the Duchy of Jülich, the home town of his parents. 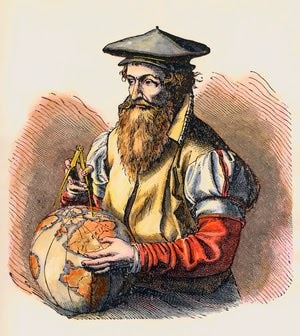 Mercator is the Latinized form of his name which means "merchant". He was educated in 's-Hertogenbosch by the famous humanist Macropedius and at the University of Leuven (both in the historical Duchy of Brabant). Despite Mercator's fame as a cartographer, his main source of income came through his craftsmanship of mathematical instruments. In Leuven, he worked with Gemma Frisius and Gaspar Van Der Heyden (Gaspar Myrica) from 1535 to 1536 to construct a terrestrial globe, although the role of Mercator in the project was not primarily as a cartographer, but rather as a highly skilled engraver of brass plates. Mercator's own independent map-making began only when he produced a map of Palestine in 1537; this map was followed by another—a map of the world (1538) – and a map of the County of Flanders (1540). During this period he learned Italic script because it was the most suitable type of script for copper engraving of maps. He wrote the first instruction book of Italic script published in northern Europe. for Protestant beliefs and suspicions about his frequent travels. He was in prison for seven months before the charges were dropped—possibly because of intervention from the university authorities.Terrestrial globe by Mercator dating from 1541.
and is one of about 22 existing Mercator globes. In 1552, he moved to Duisburg, one of the major cities in the Duchy of Cleves, and opened a cartographic workshop where he completed a six-panel map of Europe in 1554. He worked also as a surveyor for the city. 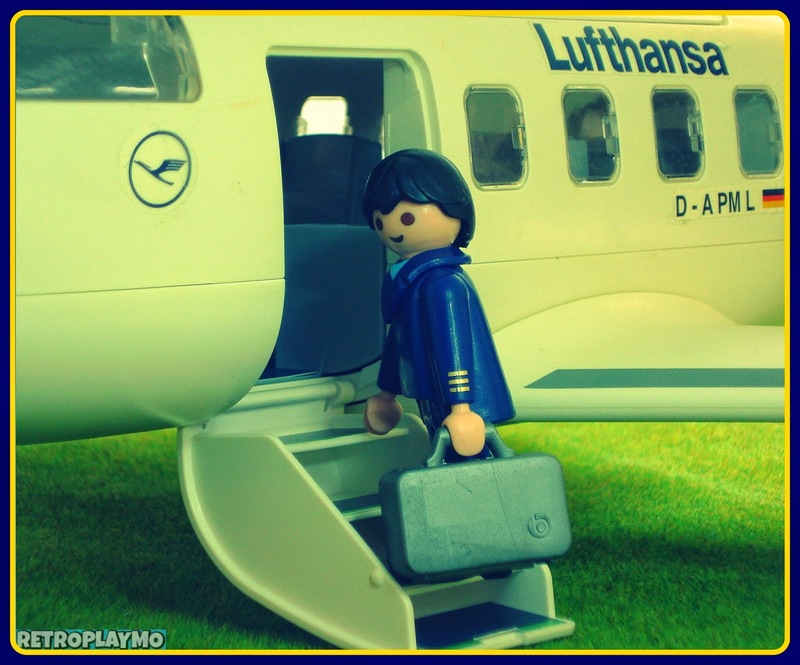 His motives for moving to Duisburg are not clear. 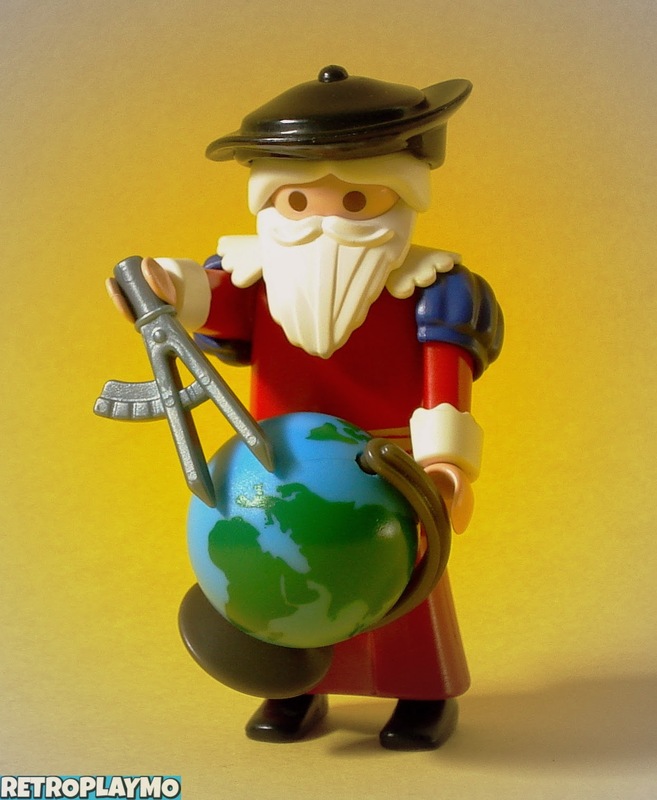 Mercator might have left Flanders for religious reasons or because he was informed of plans to found a university. He taught mathematics at the academic college of Duisburg. In 1564, after producing several maps, he was appointed court cosmographer to Wilhelm, Duke of Jülich-Cleves-Berg. In 1569, he devised a new projection for a nautical chart which had vertical lines of longitude, spaced evenly, so that sailing courses of constant bearing were represented as straight lines (loxodromes). Mercator took the word atlas to describe a collection of maps, and encouraged Abraham Ortelius to compile the first modern world atlas – Theatrum Orbis Terrarum – in 1570. (though introducing a number of new errors). and of the Balkans and Greece in 1588.
in 1595 after the death of his father. and went on to become the leading European globe maker of the age. Twenty-two pairs of his globes (terrestrial globe and matching celestial globe) have survived. a respected and wealthy citizen. ("New and more complete representation of the terrestrial globe properly adapted for use in navigation"). The title shows that Gerardus Mercator aimed to present contemporary knowledge of the geography of the world and at the same time 'correct' the chart to be more useful to sailors.